The corrupting powers of Chaos may affect minds of virtually all the sentient species - even Lions of Saint Marcus had certain members of their chapter going mad and pledging their souls to leftist evil. Those traitors are called Fallen Mousers and their creme de la creme are the Fallen Cat-a-phractae, who normally lead lower-ranked Felinian turncoats into the battle. 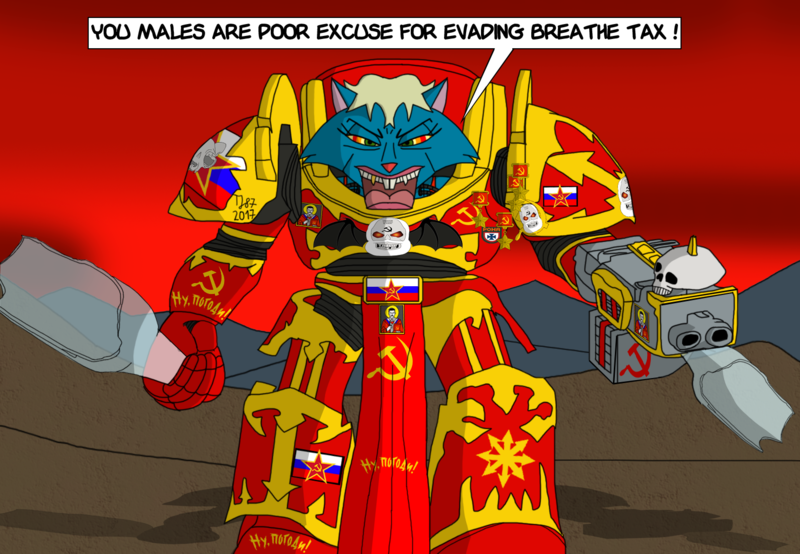 Couple of those Felid Chaos Terminators gained such respect within Vodka Inhalers, that other Vodka-marines obey their command, both in the battlefield and beyond it. Olga Salotchkinaya is one of such examples - once proud Space Mouser, Olga had her mind addled by leftist lies, which caused her rising against her battle sisters and battle brothers. Instead of protecting humanity and other sentient beings, she started hurling "proletarian revolution in the outer space" against them. After being exiled from the chapter, she and platoon of Felid traitors under her command had been accepted by Vodkamarines. Olga's cruelty in combat impressed even the Chaos Lord Admiral Popov, who promoted Olga into Exalted Champion rank and awarded her with the title of Combat Commissar. Apart from being merciless and bloodthirsty warrior, Salotchkinaya tends to care about own soldiers more than most of Vodka-marines officers do - e.g. if any Chaos Marine from her company gets wounded in combat, Olga always makes sure that warrior receives proper treatment from medics and appropriate booze ration from legion moonshiners. Doesn't matter whether the thrall of leftist chaos is human, felid, canine or other species member - Russian Blue Exalted Champion judges her troops after merit and devotion to socialist ideology. Thus Nu-Pogodi Berserkers and Disciples of Rasputin gladly obey Olga's commands. Naturally for the greater glory of their dark god Stalin. Completed version of http://www.fanart-central.net/pictures/user/TeeJay87/853388/Fallen-Cat-phracta-raw-sketch in full colours. 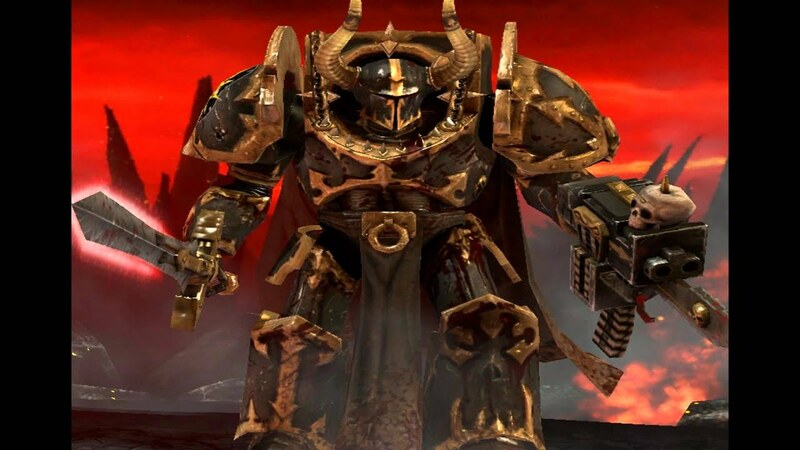 Based on concept from Dawn of War 2: Retribution https://i.ytimg.com/vi/JLLL0drCY8o/maxresdefault.jpg , just with properly modified armour details. Flagged mature content due to decorations of her power armour. Olga Salotchkinaya belongs to me. The character seems to me drunk and furious! You're right in both cases - Olga is so drunk, that she uses broken vodka bottles as melee weapons (bigger one as mace, smaller one as bayonet); if you can see small cords attached to her neck (level of her lips), those are pumping alcohol directly to her throat from the tank in the rear plate on the armour (that round shape behind Olga's head is the vodka tank on her back).